Ever since Christine McVie quit Fleetwood Mac in 1998, fans have pined for a full-fledged reunion of the band's classic lineup. Now it's finally happening – well, sort of. 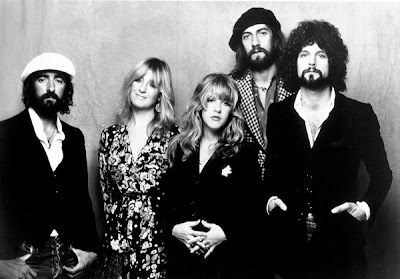 As the BBC reports, McVie has agreed to rejoin her bandmates for two shows during the band's upcoming European tour. Singer Stevie Nicks broke the news during an interview with BBC Radio 4's Woman's Hour. "She is going to come and do a song on the second two shows," Nicks said. "I think it will probably be 'Don't Stop.' I don't know, but she's coming to Ireland to rehearse with us." The BBC was unable to confirm specific details with band representatives. This news is quite surprising: Last year, during an interview with Rolling Stone, Nicks shared a pessimistic outlook on a potential reunion. "I would say there's no more a chance of that happening than an asteroid hitting the earth," she said. "She is done. You know when you look in somebody's face and you can just tell? She doesn't want to do it anymore. She doesn't want to fly. She doesn't want to come back to America. When she left, she left. She sold her house, her piano, her car. She went to England and she has never been back since 1998, so it's not really feasible, as much as we would all like to think that she'll just change her mind one day. I don't think it'll happen. We love her, so we had to let her go." During her Woman's Hour interview, Nicks also reflected on the bond she and McVie shared as bandmates. "Both of us in a man's world, from the very beginning, we made a pact that we would be a force of nature together. And we were," she says, noting that she "felt powerless" when McVie quit the band. "We had a lot of power when there were two of us. That wasn't really so noticeable to us because we just had it until she left." Fleetwood Mac's European tour kicks off September 20th in Dublin, Ireland. Their latest EP, Extended Play, was released in May.